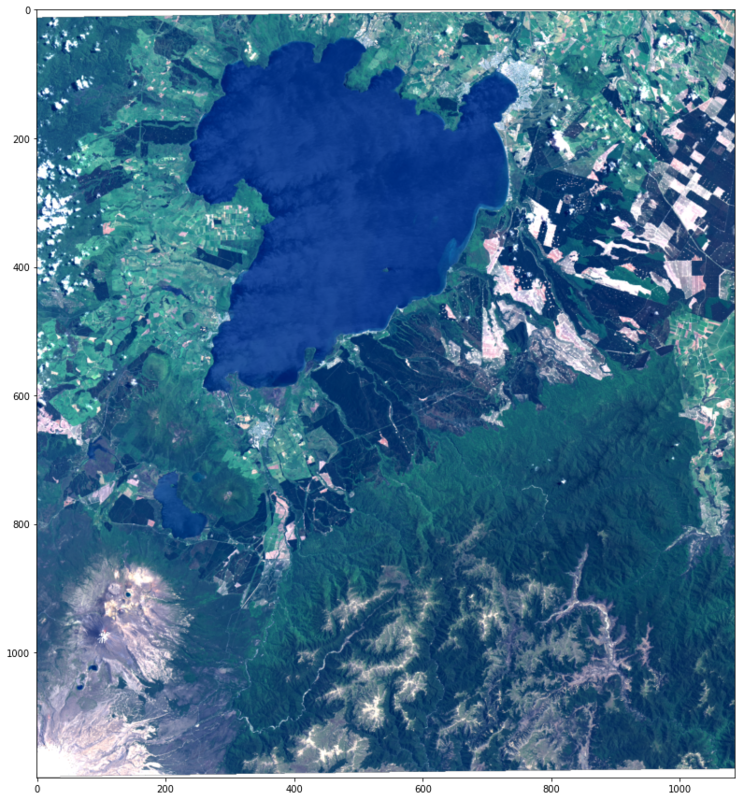 This image classification uses the Scenes API to filter the Landsat 8 Real Time Collection for relatively cloud free imagery above a small area in New Zealand. 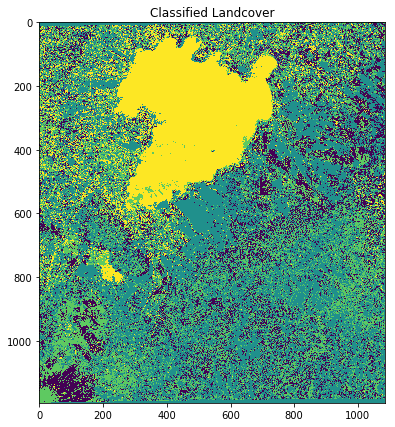 The tutorial uses GDAL to rasterize training data and scikit-learn to train and run a Random Forest Classification. We begin by importing the necessary libraries. Lake Taupo is located on the North Island of New Zealand. 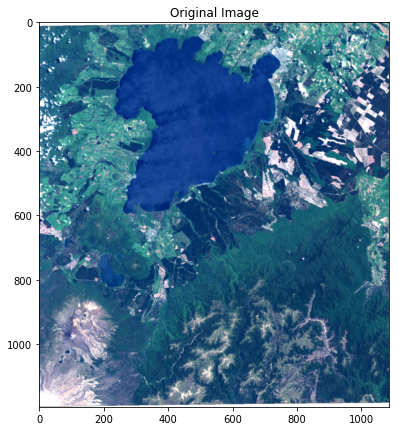 The GeoJSON feature defined below is a rectangle containing the lake, mountains, and plantations. This feature will be used to search for imagery and as the extent of our analysis. The Scenes API allows you to query our catalog of imagery. Here, we specify the geometry, product, and cloud fraction parameters to reflect our study’s requirements. The search method returns a tuple containing the Scene Collection, and the GeospatialContext, where the first lists the image IDs and other metadata. The latter defines the spatial resolution, coordinate system, and other spatial parameters to apply to the Scenes. # You can modify the GeospatialContext as needed. A call to ndarray on one Scene from the Scene collection returns a masked array with the image’s data. # Set raster metadata for rasterizing our training data. We need a library of functions to rasterize our training data. """Rasterize the given vector (wrapper for gdal.RasterizeLayer).""" """Rasterize the vectors in the given directory in a single image.""" """Create a GeoTIFF file with the given data.""" The data used to train the classifier are individual shapefiles being read in from file.